Liverpool manager Jurgen Klopp has asked fans to "show respect" outside Anfield before Tuesday's Champions League tie against Roma, and not throw objects at the visiting team's bus. The race is on for Liverpool fans to get tickets to the Champions League Final in Kiev after the Reds beat Roma in the semis. Jurgen Klopp's side will face Real Madrid in a repeat of the 1981 final in Paris, which they won. They were beaten last night, but won the tie 7-6 on aggregate. Chris Hall spent the night with Liverpool's supporters in the Stadio Olimpico. They're 165 minutes from Rome, and 90 minutes from the Champions League semi final. But how do Liverpool FC fans think tonight's big game will go down? Nine people have been arrested after last night's Champions League semi-final between Liverpool and AS Roma - two for attempted murder. 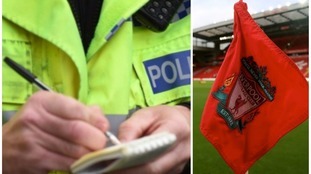 Merseyside Police are investigating a serious assault of a man outside a pub in Liverpool. We are investigating a serious assault of a man outside the Albert pub on Walton Breck Rd at about 7.35pm. "Officers are appealing to anyone with information, or mobile phone footage to contact our social media desk via twitter @MerPolCC or Facebook Merseyside Police CC." Liverpool boss Jurgen Klopp has called on the fans to behave ahead of the Champions League semi-final first leg against Roma at Anfield.